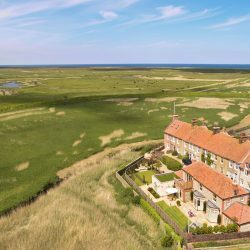 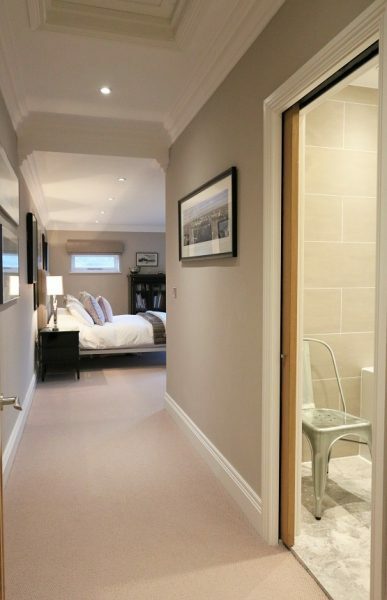 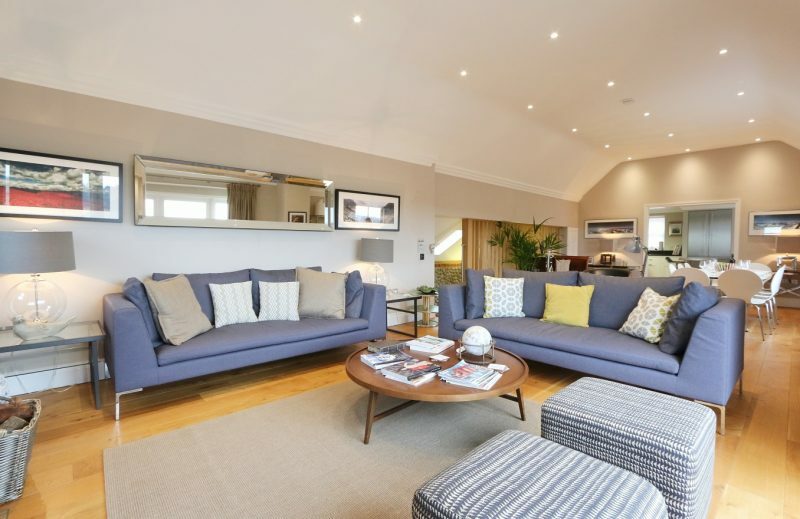 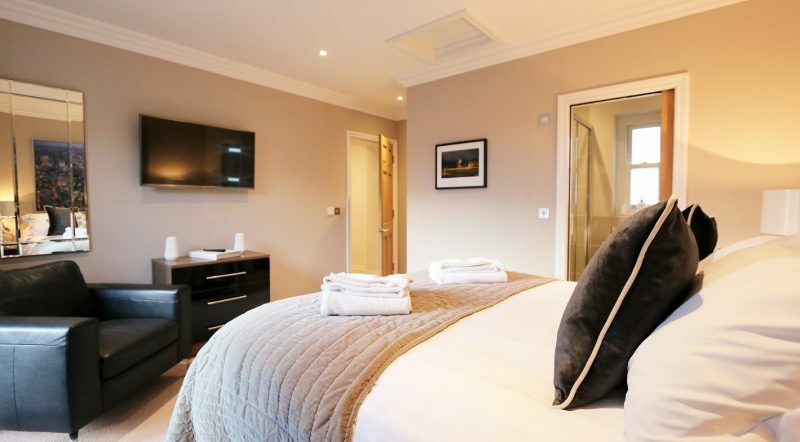 We are absolutely delighted to be able to add this truly spectacular five bedroom (all en-suite) property to our portfolio of luxurious places to stay in North Norfolk. 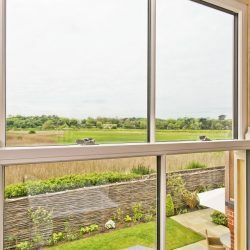 Riverside House is situated in an unrivaled location in the heart of the Cley-next-the-Sea and has wonderful uninterrupted coastal views over the salt-marsh towards Blakeney Point and along the Glaven Valley. 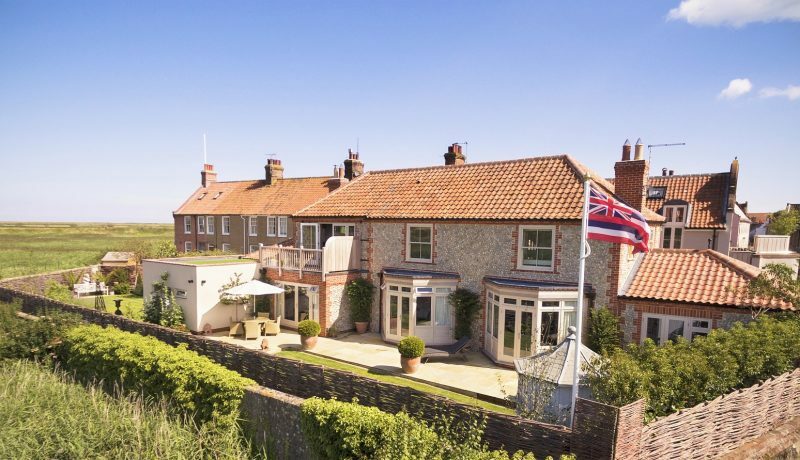 It is just a short stroll to the Windmill and Quayside, the delicatessen for hot croissants and fresh coffee in the morning and the fabulous and varied pubs, eateries, shops and galleries Cley-next-the- Sea has to offer. 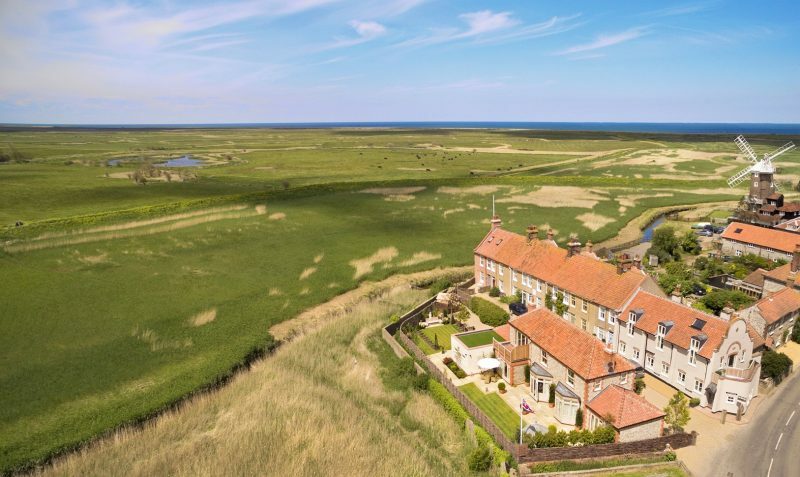 A slightly longer walk via salt-marsh will take you to the famous and much loved shingle beach from which you can walk all the way to Blakeney point. 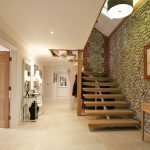 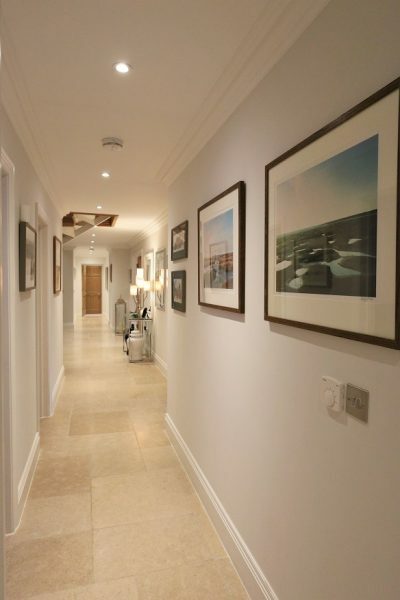 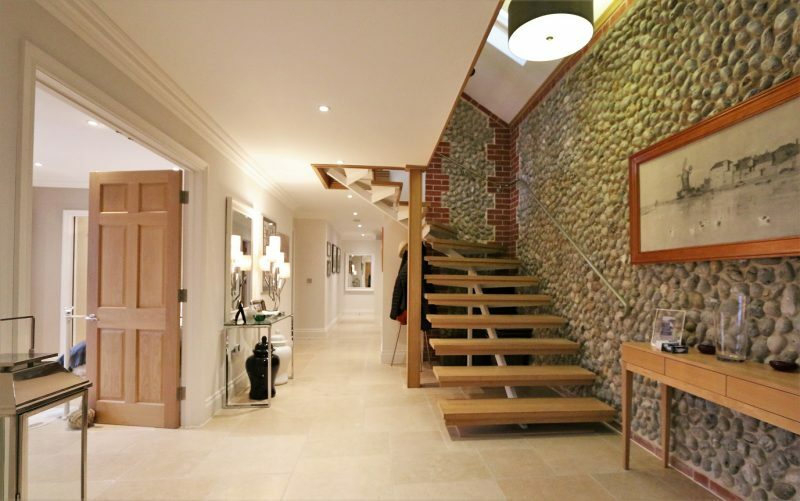 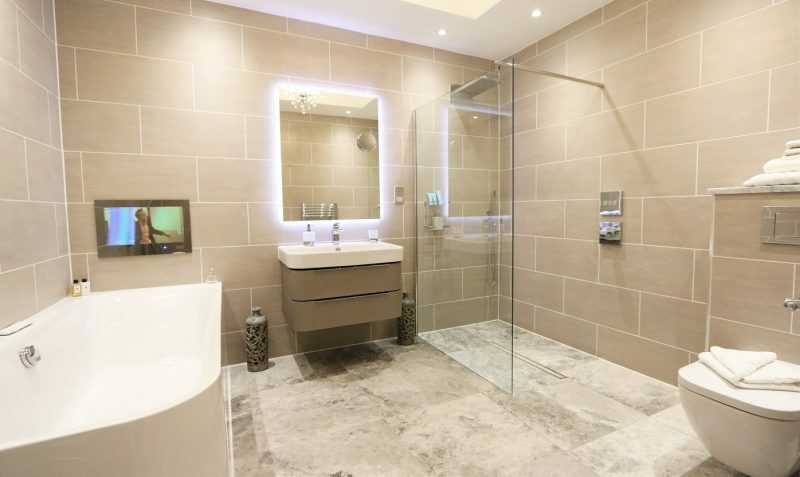 This breathtaking brick and flint house offers a sumptuous living space and is finished to an exceptional standard throughout with the very highest quality fixtures and fittings. 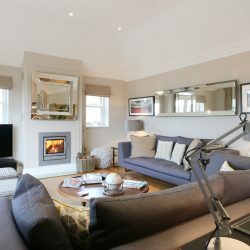 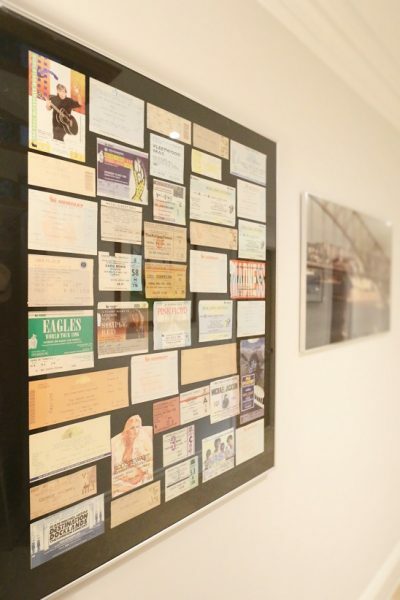 The owner has painstakingly created a wonderful and much loved second home retreat offering a sophisticated and elegant interior that will satisfy the most discerning guests. 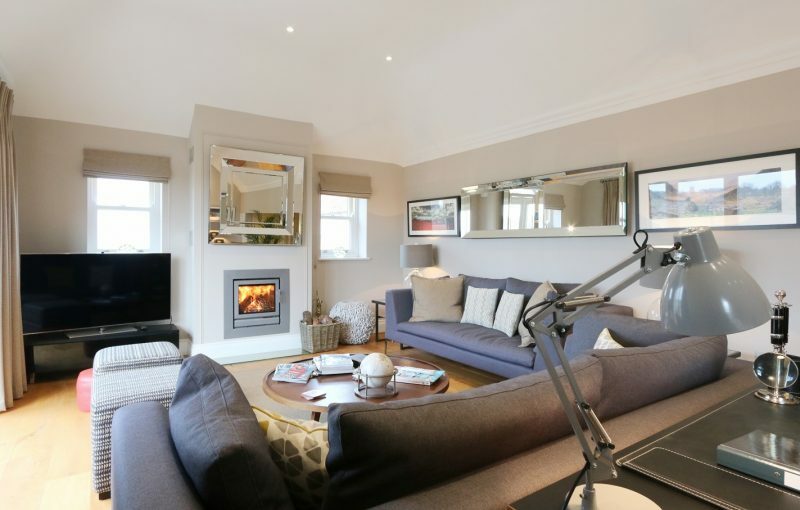 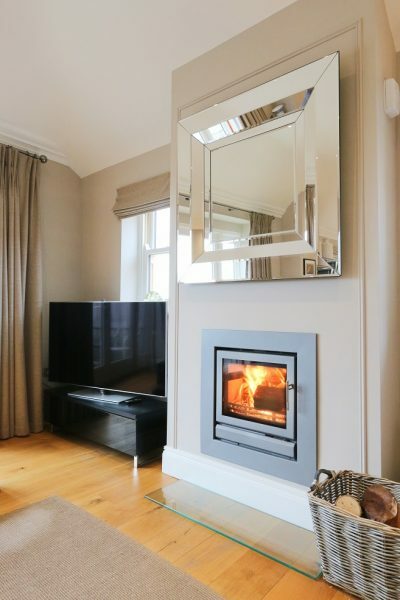 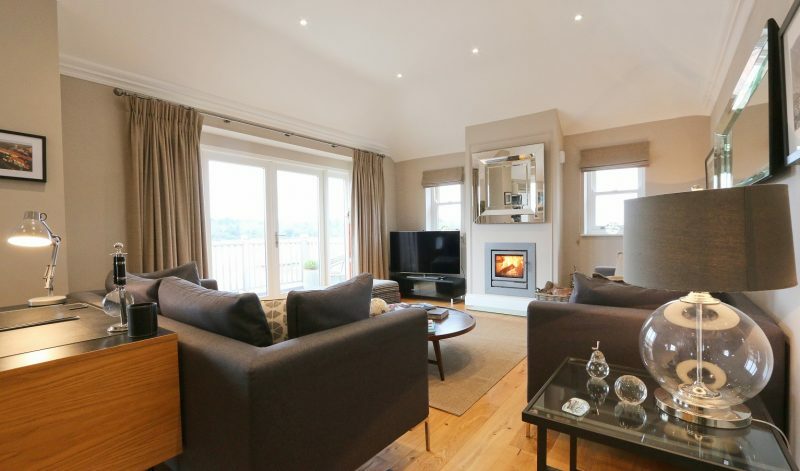 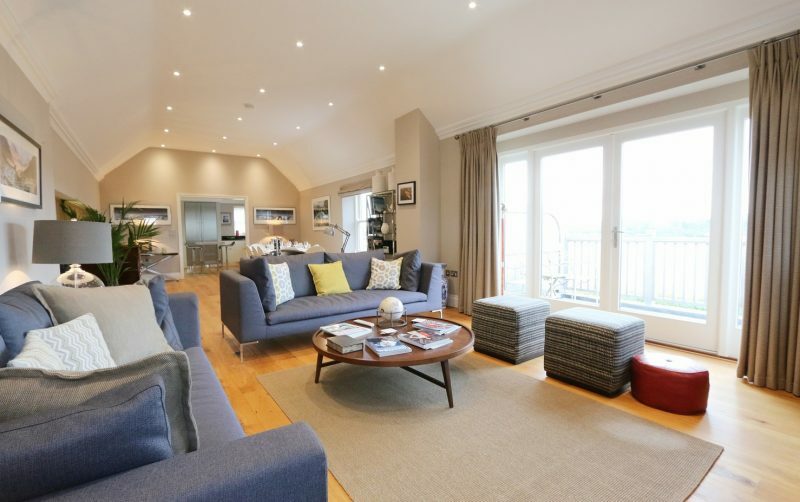 The stunning, light and bright first floor living area is double aspect with high vaulted ceilings, oak flooring and comfy soft furnishings surrounding the large Samsung LED SMART TV with Blu-Ray and high quality Stovax in-wall wood burner. 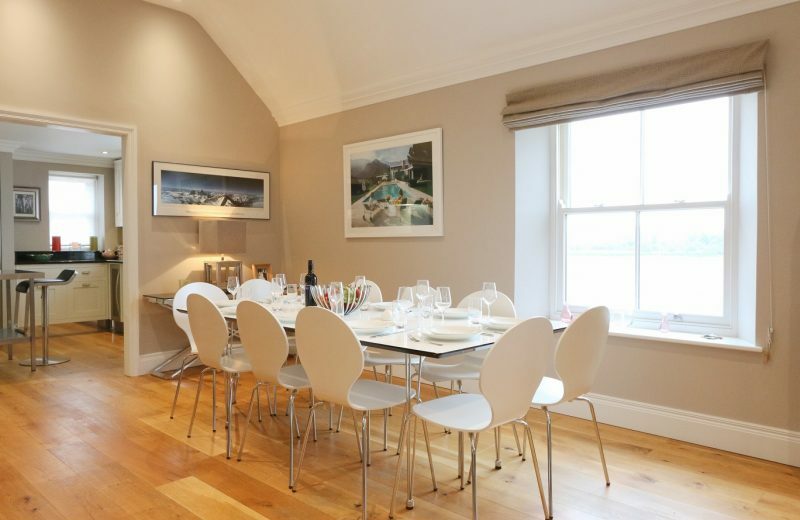 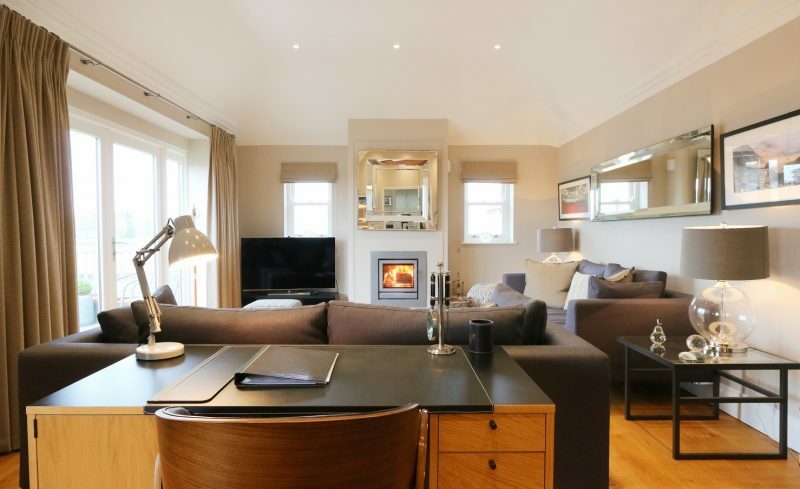 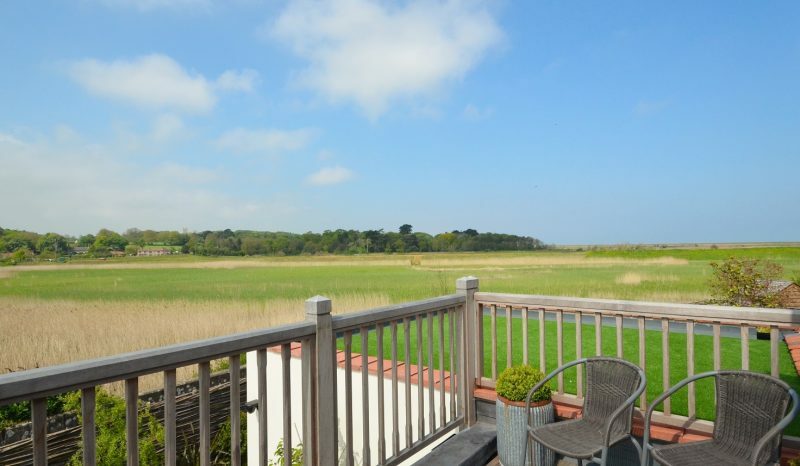 With this roaring away Riverside House makes for the perfect cosy, coastal winter getaway! 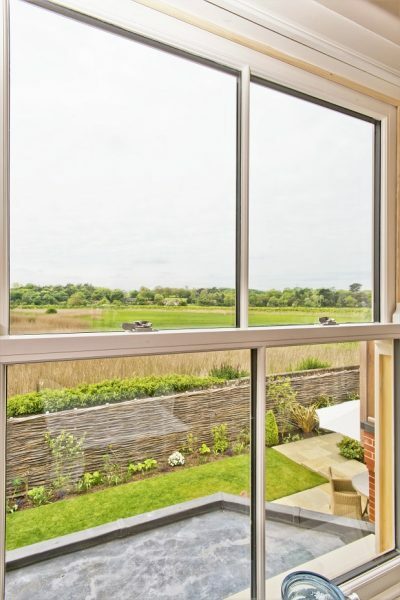 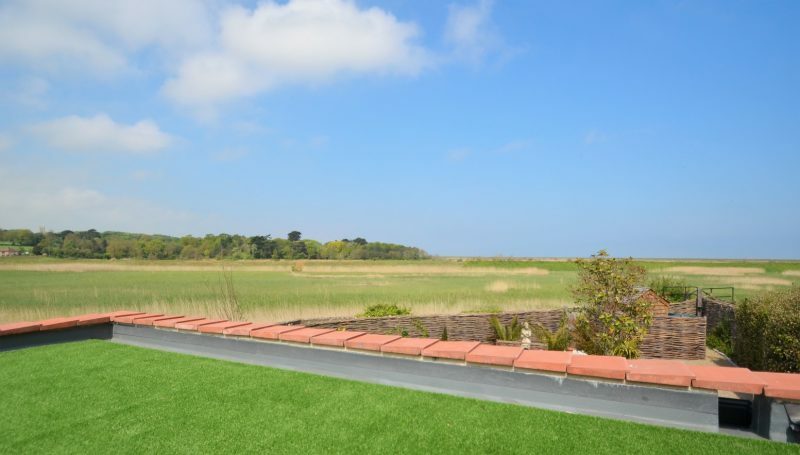 French doors open onto the hardwood decked roof terrace which provides breathtaking, panoramic rural and coastal views across the marshes and reed bed to Blakeney Point and the Glaven Valley. 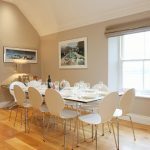 There is a good sized dining table that seats up to 10 and large south west facing Sash windows breath in light and enjoy countryside views which include both Wiveton and Blakeney church spires. 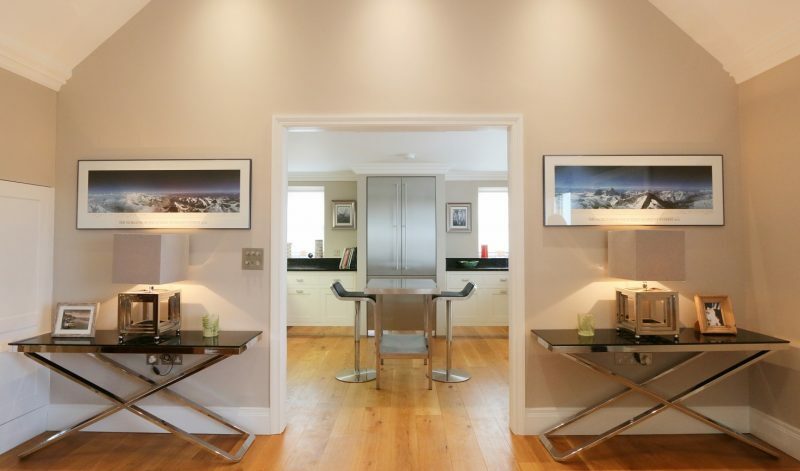 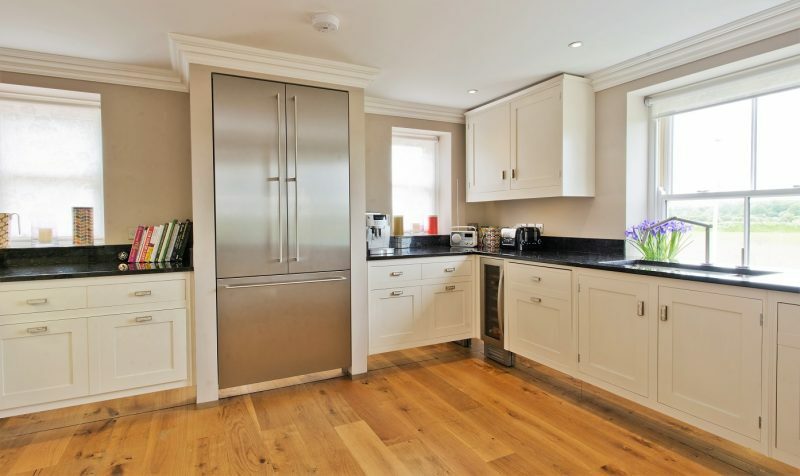 The highly luxurious nature of the property continues in to the kitchen which is handmade by Smallbone of Devizes. 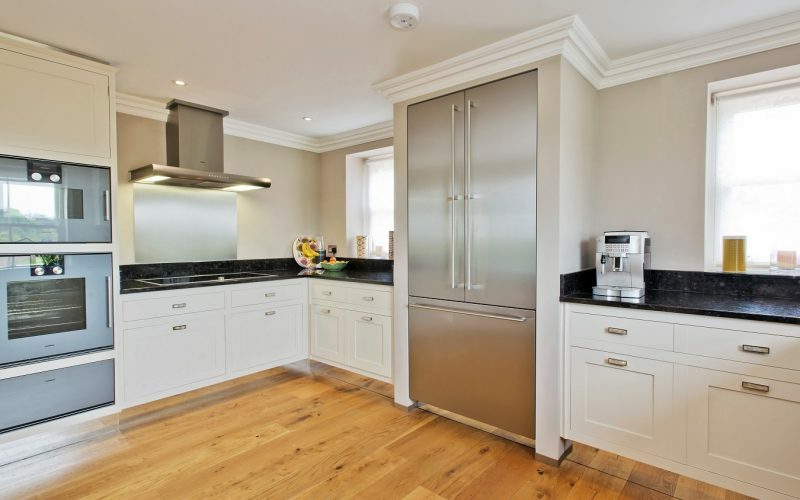 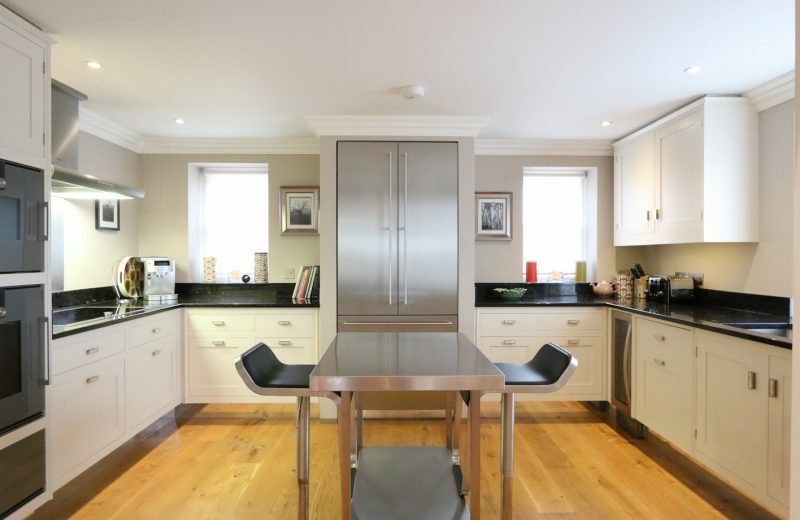 It is fully fitted with Gaggenau appliances including, oven, microwave, dishwasher, huge fridge/freezer and induction hob as well as a Caple wine cooler all beautifully integrated in the handcrafted units and granite counter-tops. 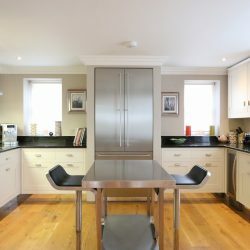 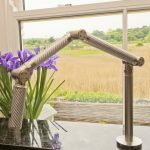 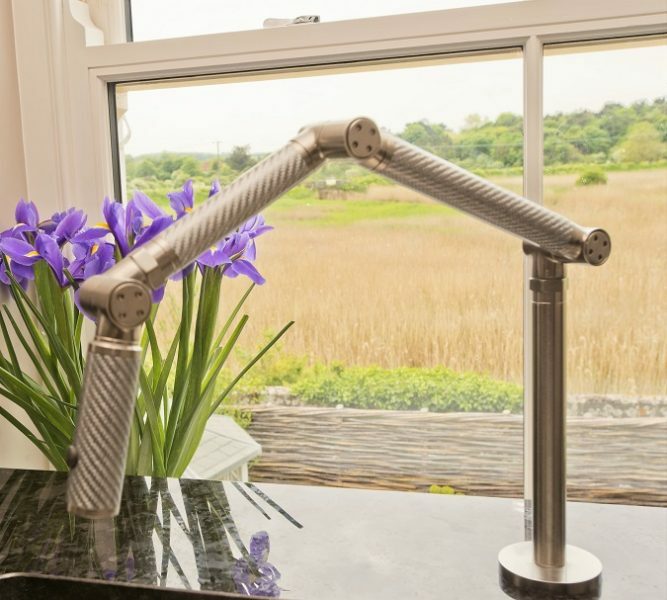 There is a stainless steel Franke sink with a gorgeous Kohler Karbon Articulating Tap (we have never described a kitchen tap as gorgeous before!) 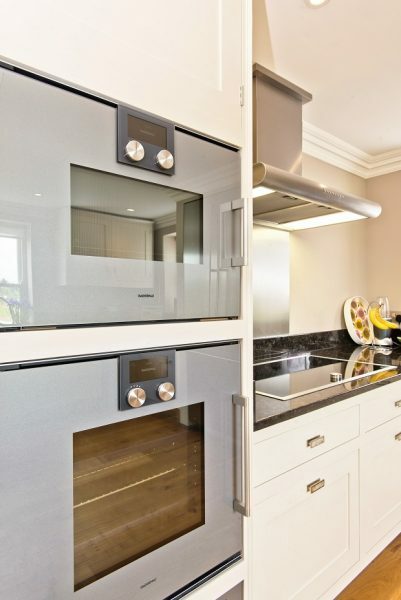 a De’Longhi coffee maker and Dualit toaster. 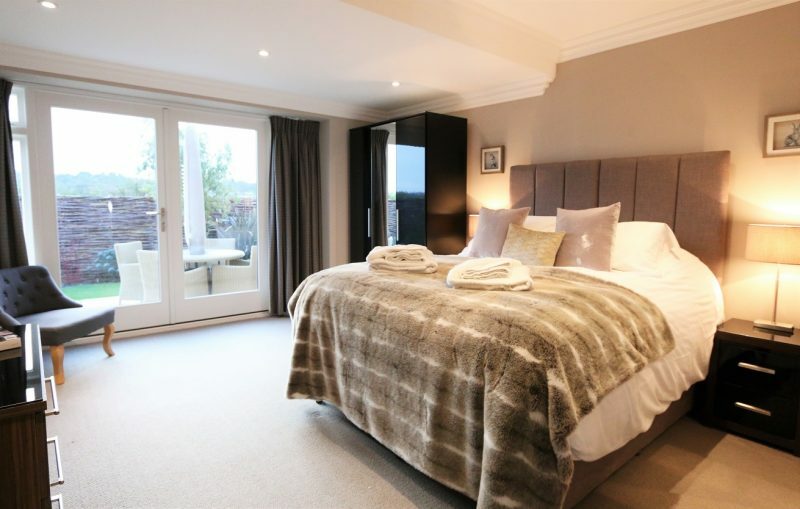 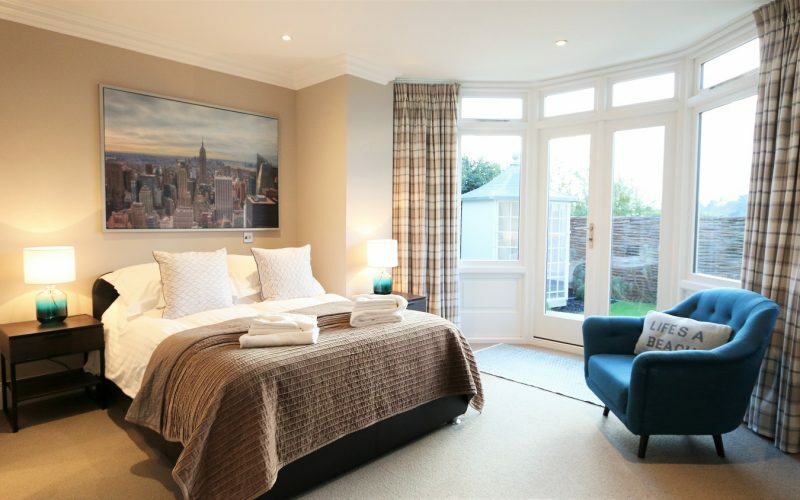 The large master bedroom suite has a comfortable king sized bed with views of the beautifully landscaped gardens through French doors. 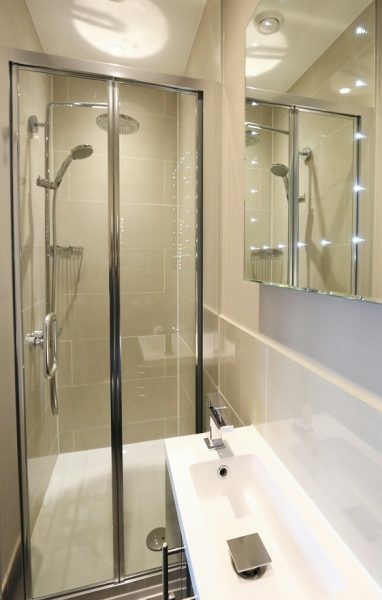 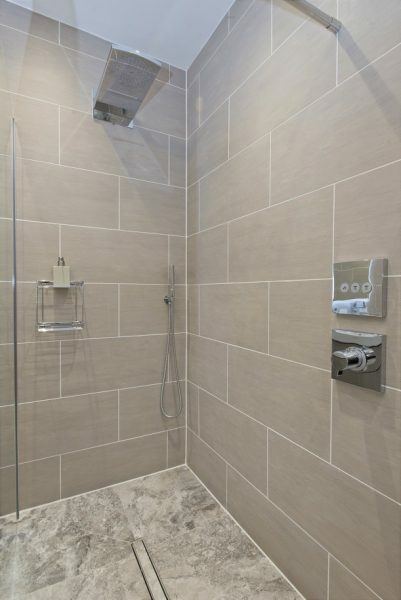 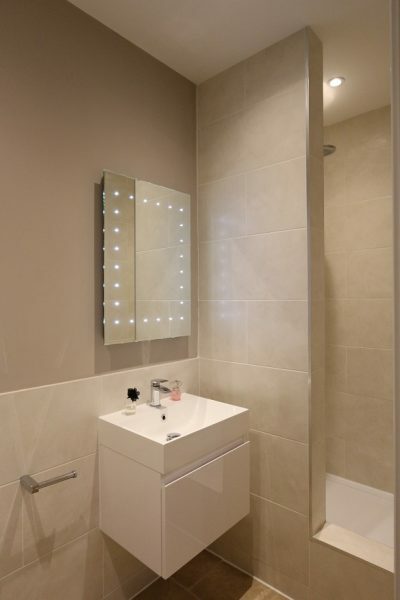 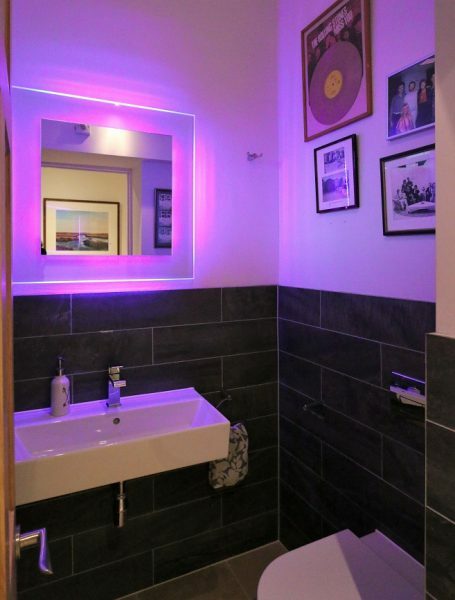 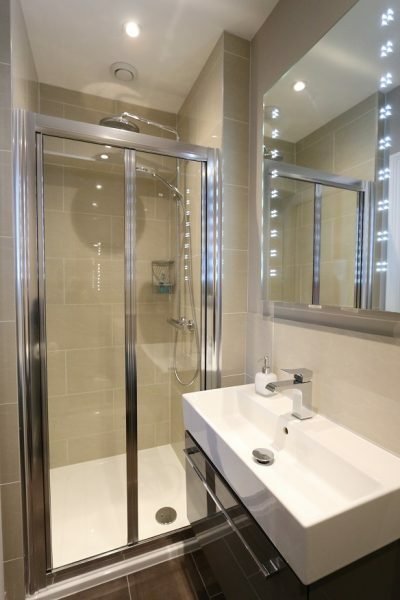 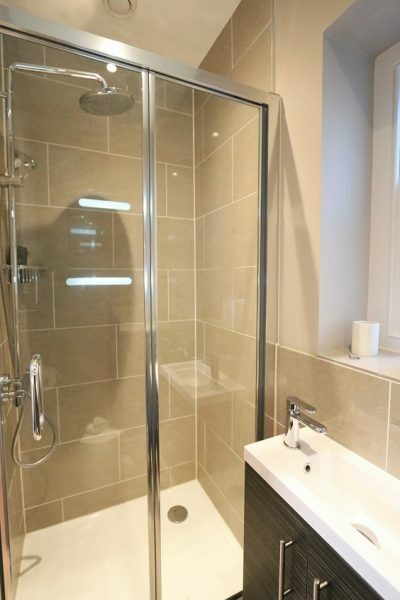 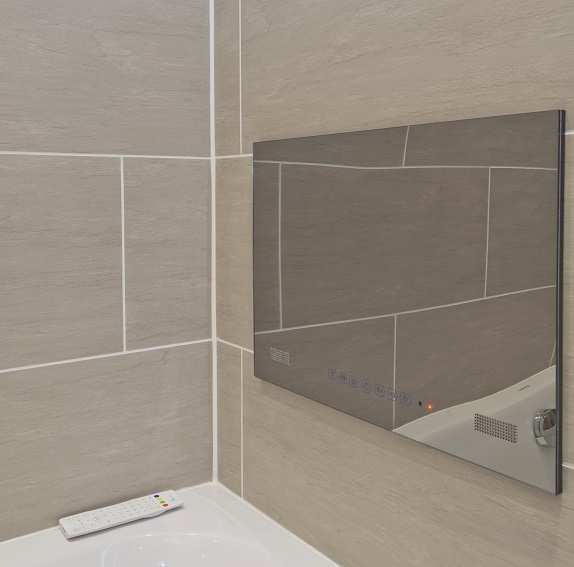 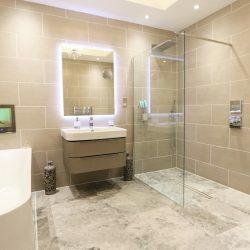 It boasts a walk-in dressing area and superb, luxuriously equipped bathroom with a huge double bath, in-built television and ‘Hansgrohe’ fittings. 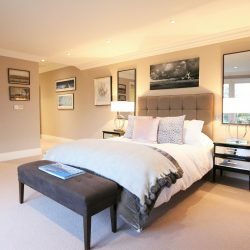 There are a further two ‘zip and link’ bedrooms which can be made up as either kingsize double or twins (please give at least two weeks notice), a good sized double bedroom and a gorgeous twin room. 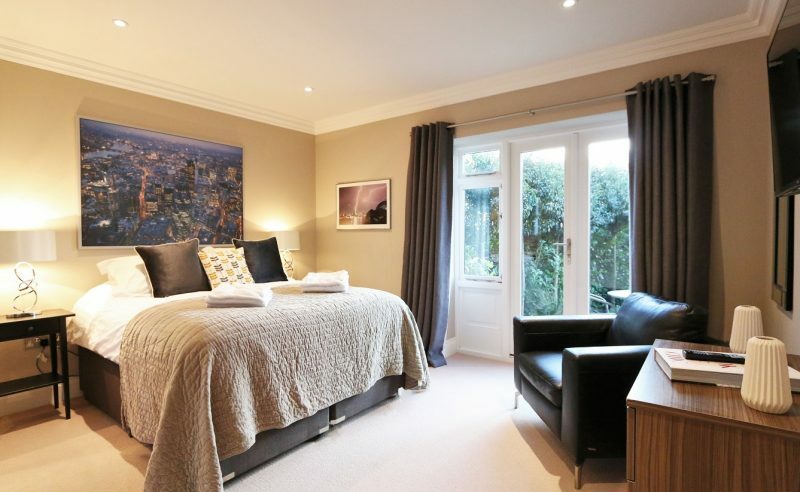 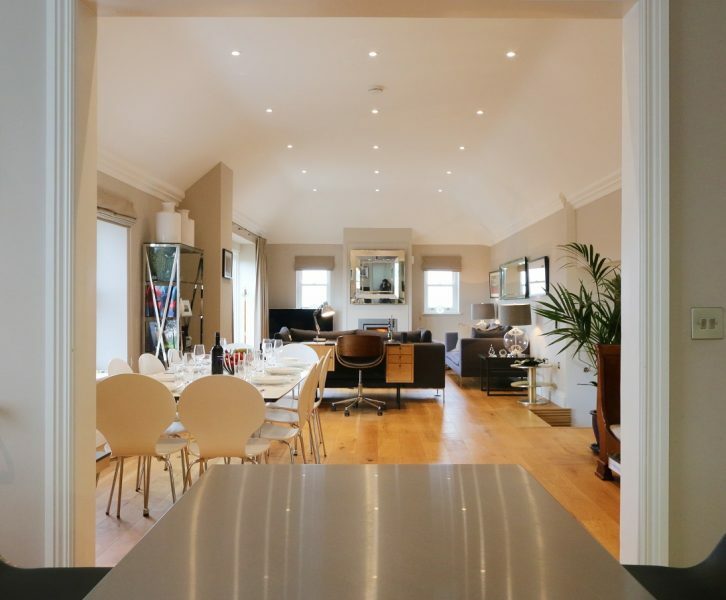 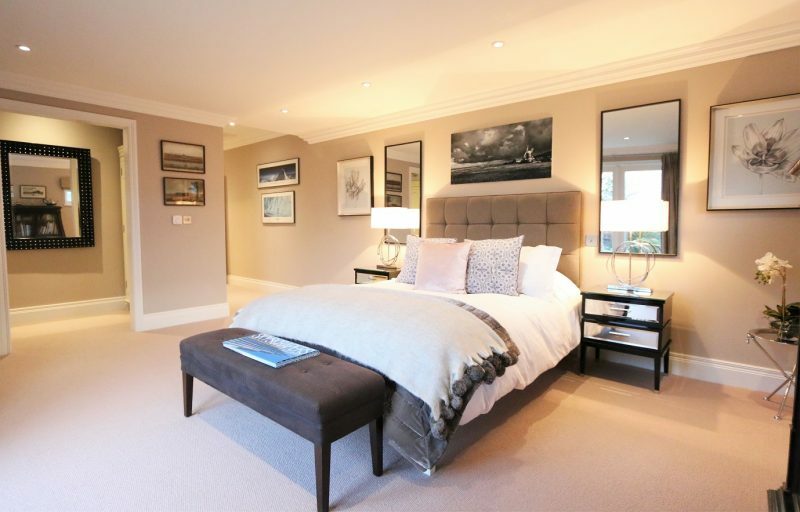 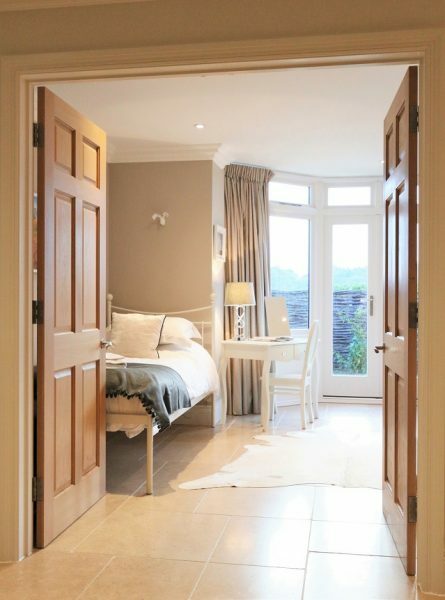 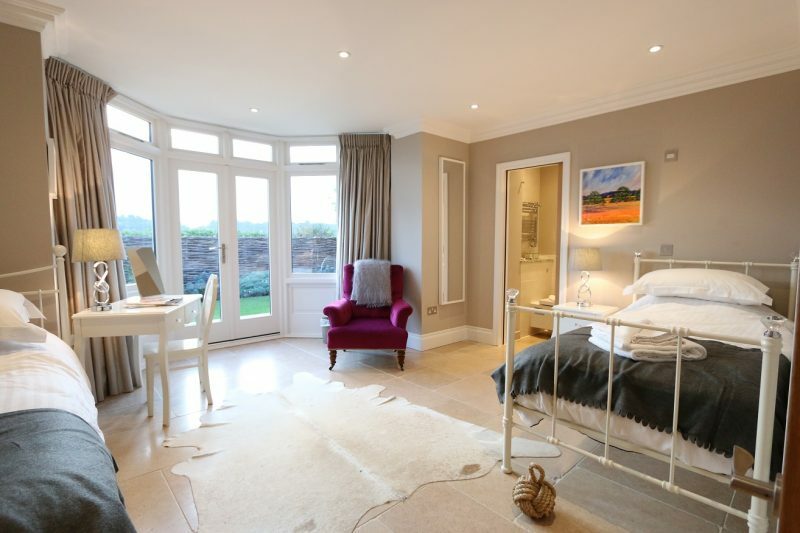 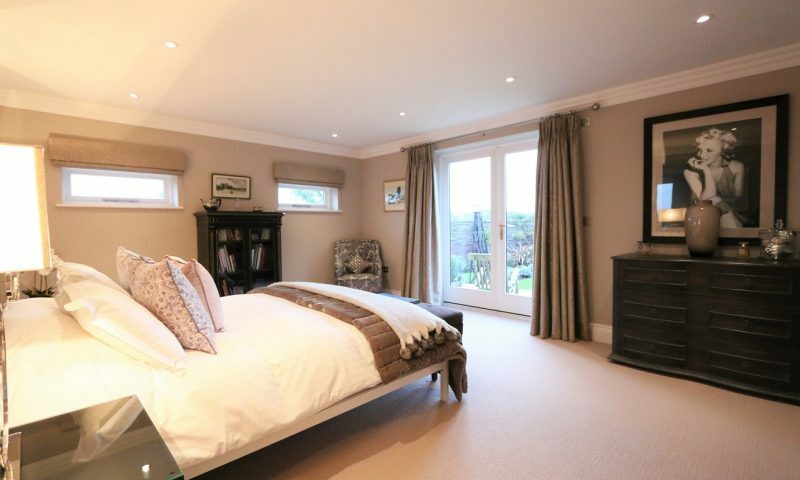 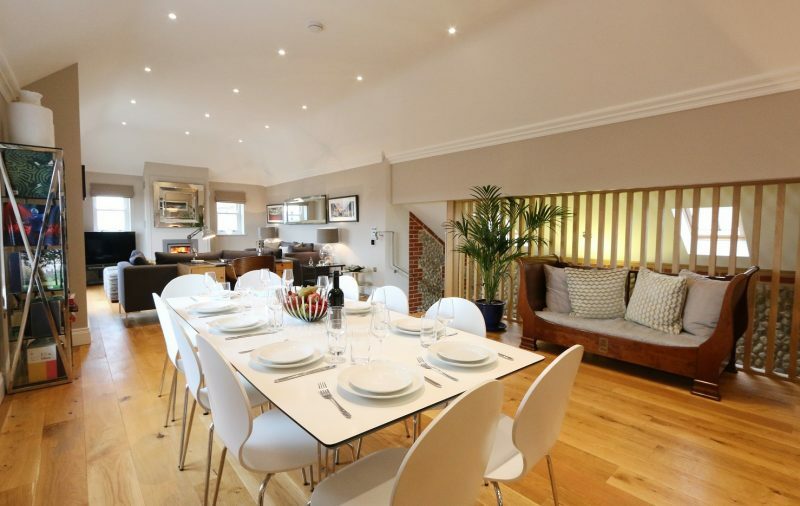 All five bedrooms have plenty of storage, en-suites and are south-west facing with access to the gardens and terrace. 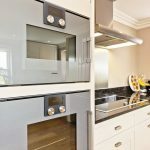 Externally is another fabulous and unique feature. 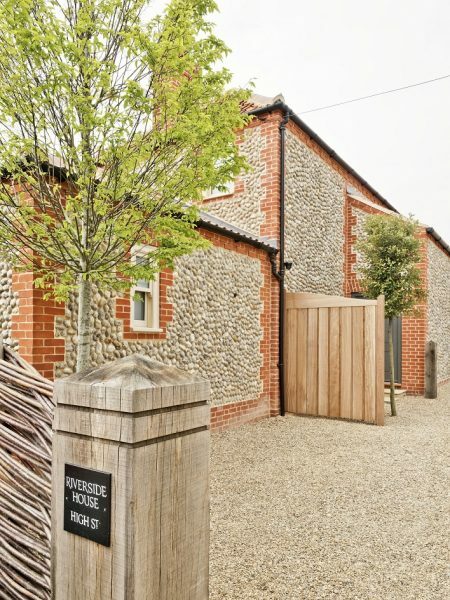 The huge, remote controlled Oak gates to the driveway open on to a remotely operated electric vehicle turntable which makes entering and exiting the parking area a breeze! 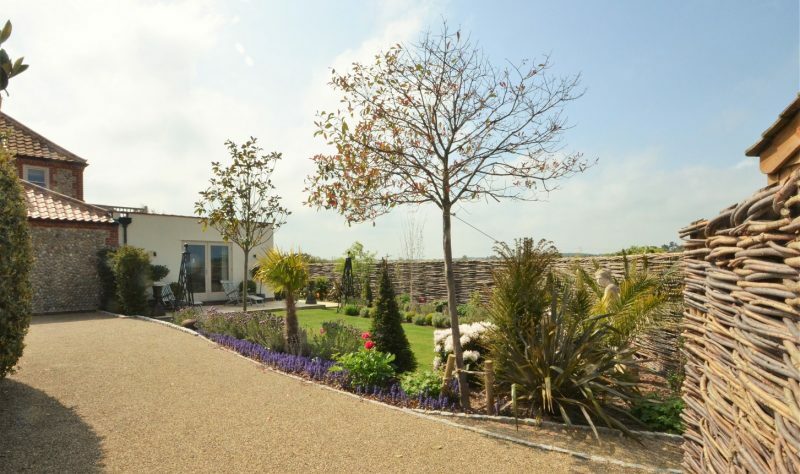 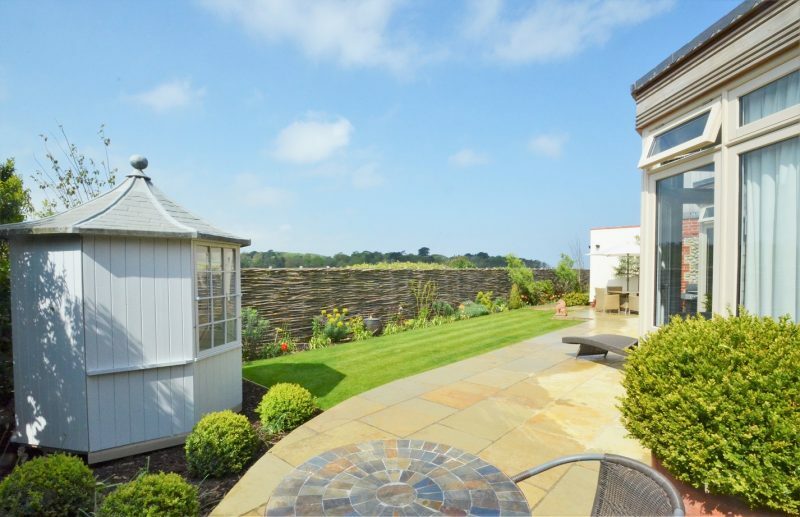 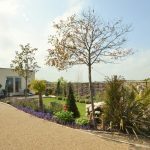 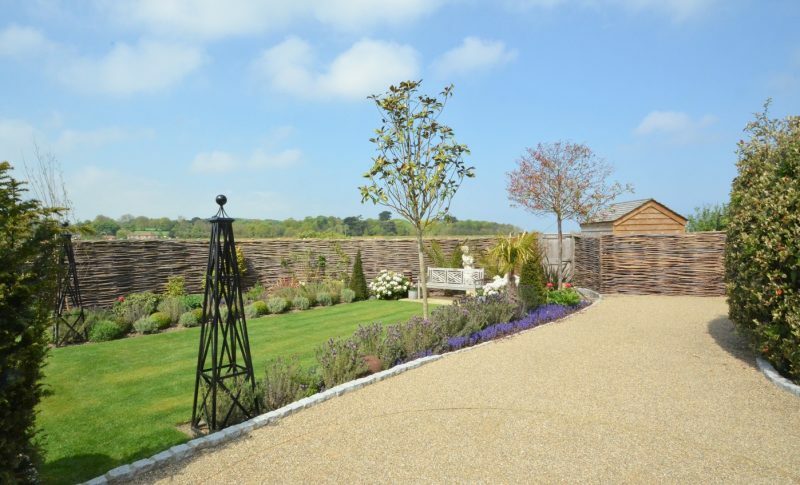 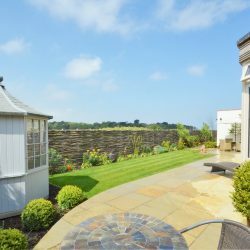 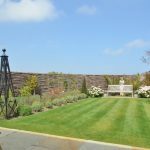 The pretty driveway is bordered with shrub and flowering plant beds which split it from the beautifully landscaped south-west facing gardens. 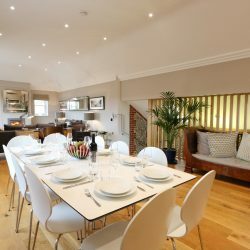 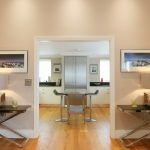 There are two separate lawned areas as well as a large terrace to the rear of the property perfect for BBQ’s and al-fresco dining and a small second terrace that is accessed from the master bedroom suite. 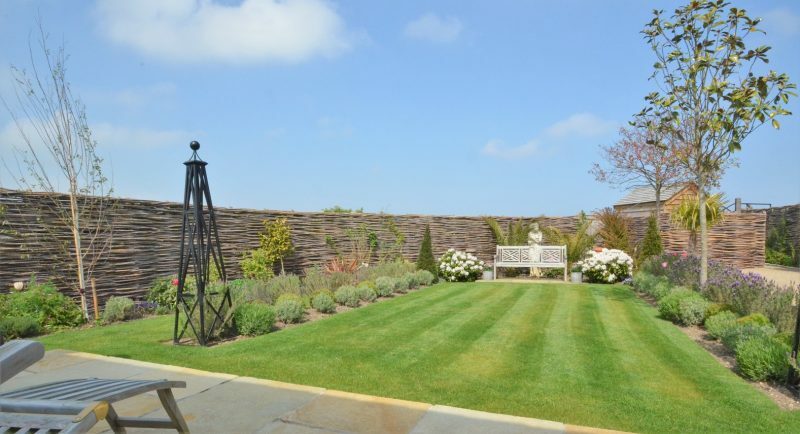 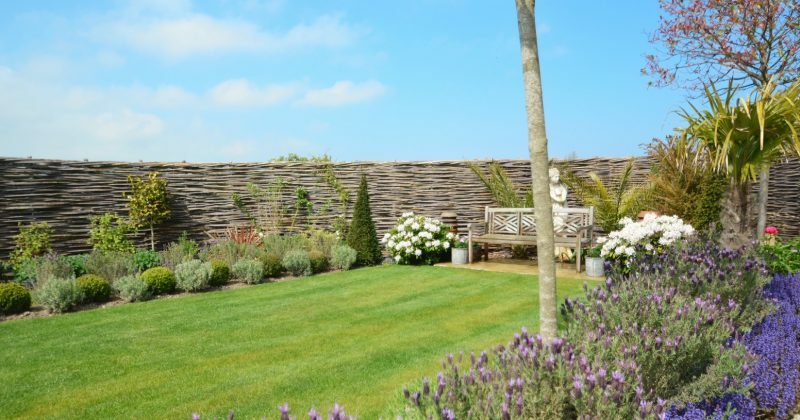 The garden is enclosed by handwoven Burnham Willow fencing, and also features a timber summer house. 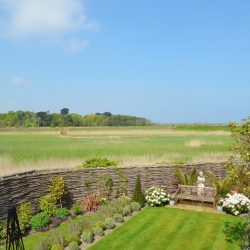 There is a timber gate from the bottom of the garden that gives guests direct access to the coastal path, yet another unique and lovely feature. 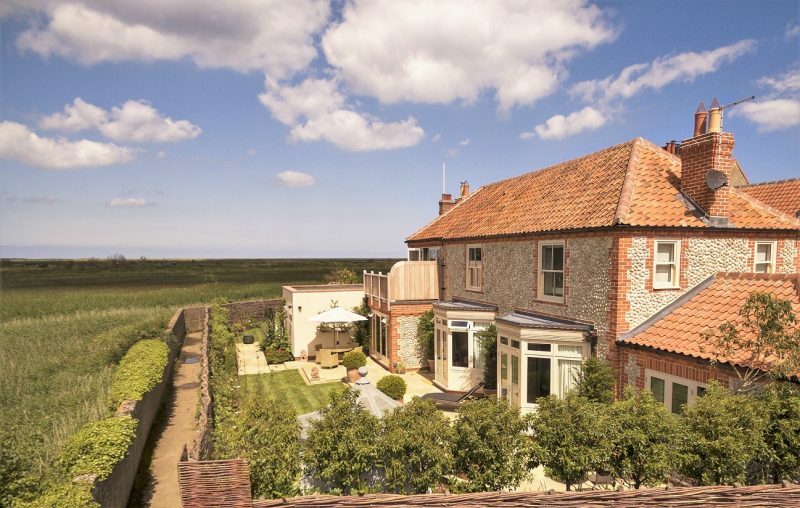 No expense has been spared in renovating and decorating this fabulous property; the accommodation is luxurious, spacious, versatile and maximizes the natural light, the location in the heart of Cley-next-the Sea is unrivaled, the gardens are beautifully landscaped and the coastal views and spectacular evening sunsets are a joy to behold. 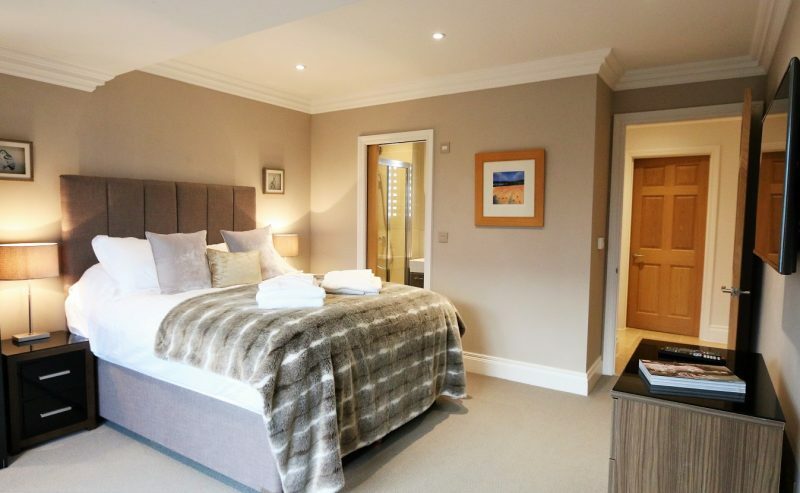 The exceptional quality of this very special property will appeal to our most discerning guests and we are certain it will become a firm favourite! 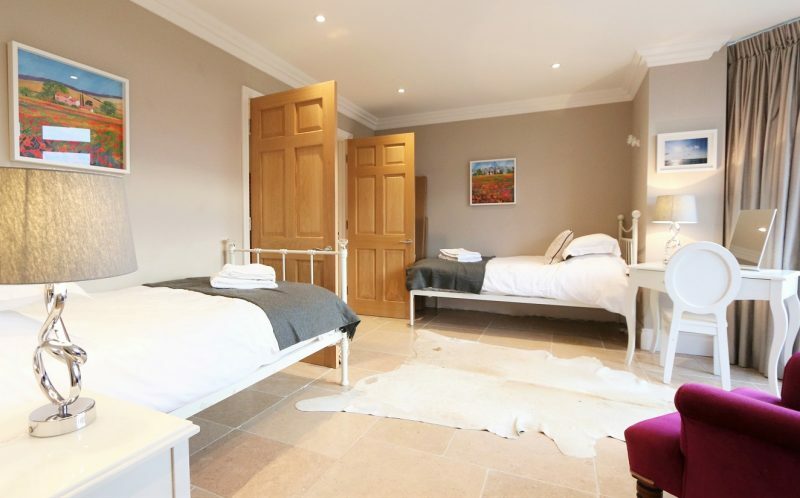 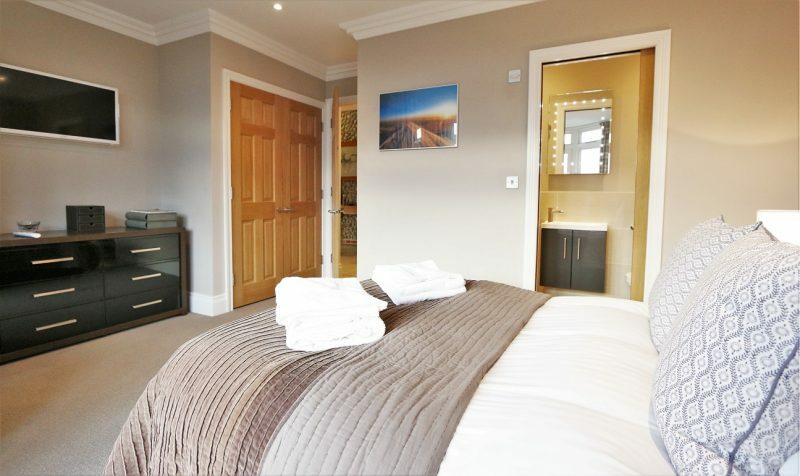 * This property allows well-behaved dogs and even has a special internal dog pen – the perfect place for your pampered pooch to relax after a long walk!